Gather around with your family and friends beside the warm radiant heat of the Napoleon Riverside™ 36 Outdoor Gas Fireplace. The Riverside™ 36 features Napoleon’s PHAZER® log set, mesh safety screen and 100% stainless steel construction to withstand the toughest outdoor environments. 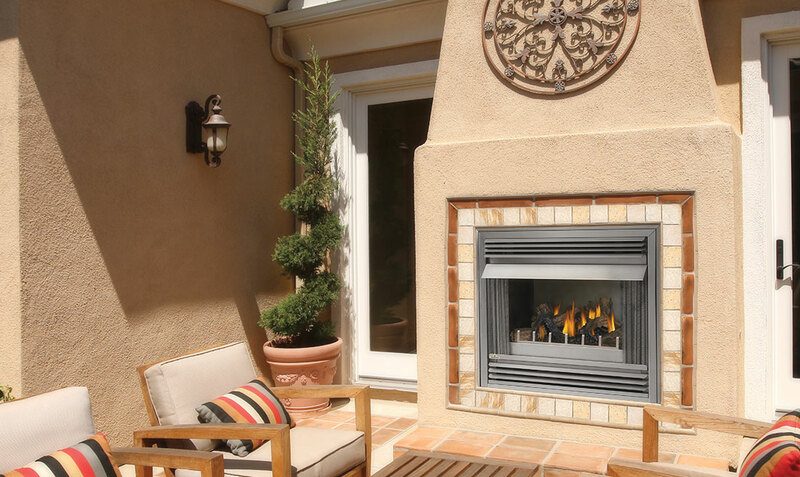 Installation possibilities are endless with Napoleon’s Riverside™ 36 Outdoor Gas Fireplace as there is no venting or chimney required. Perfect for any spot in your backyard.